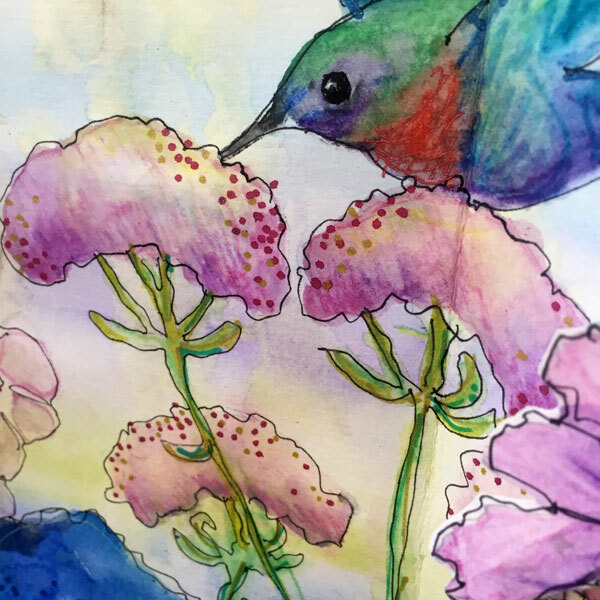 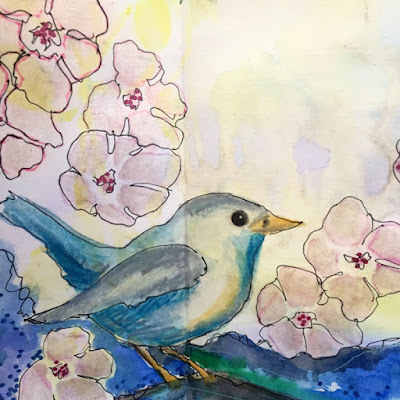 Let Cynthia Silveri's new hummingbird zip into your art journal at 34 mph! Hummingbird and Friends depicts a hummingbird hovering over sedum, a goldfinch swaying on tickseed, and a nuthatch perched among apple blossoms. 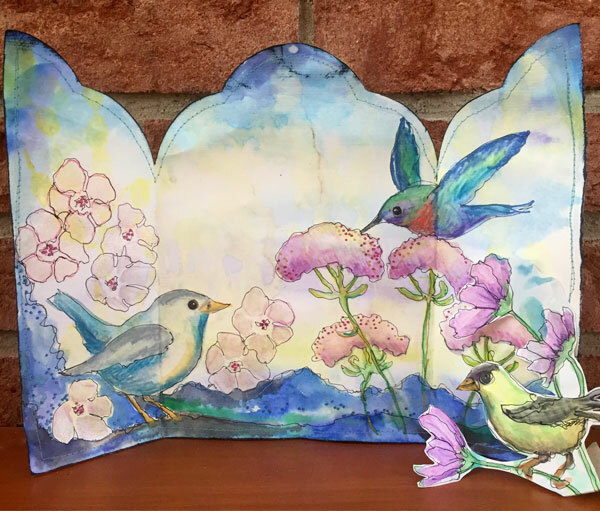 Used individually or together, these sweet birds and flowers will delight! 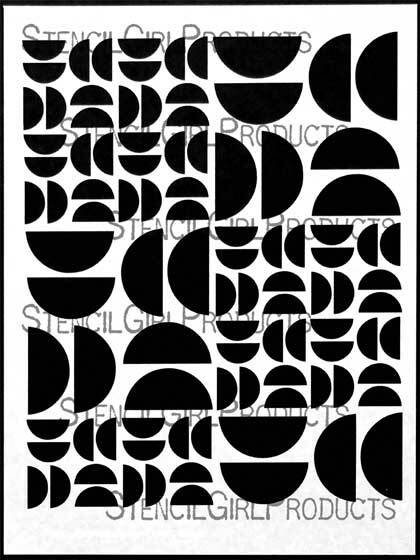 Our king of geometric pattern play is as strong as ever with these 7 stencils. 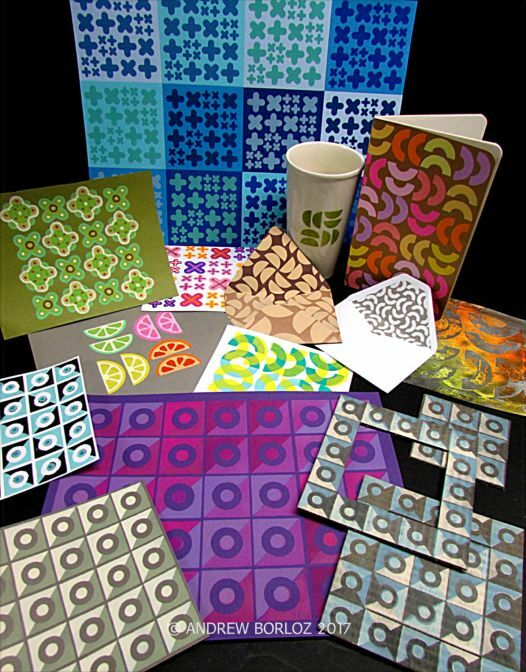 Andrew has been inspired by Marimekko's and Alexander Girard's textile patterns. 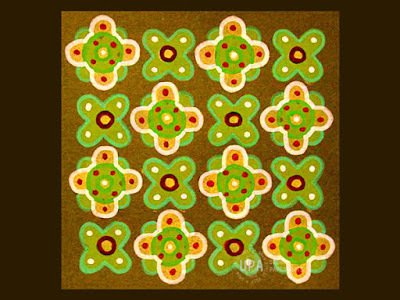 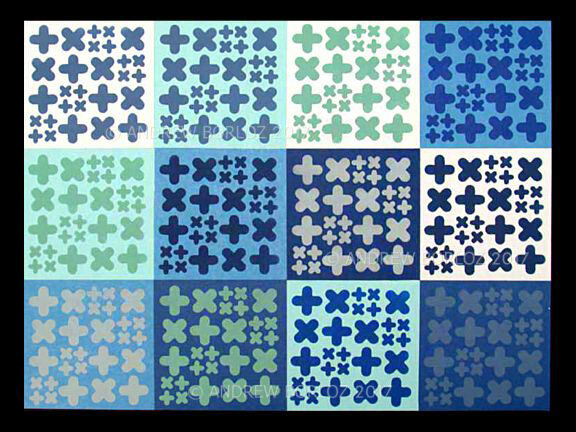 As part of this series, he simply cut the circles in half, and arranged them as "doubles" as if he were creating a tiling effect. 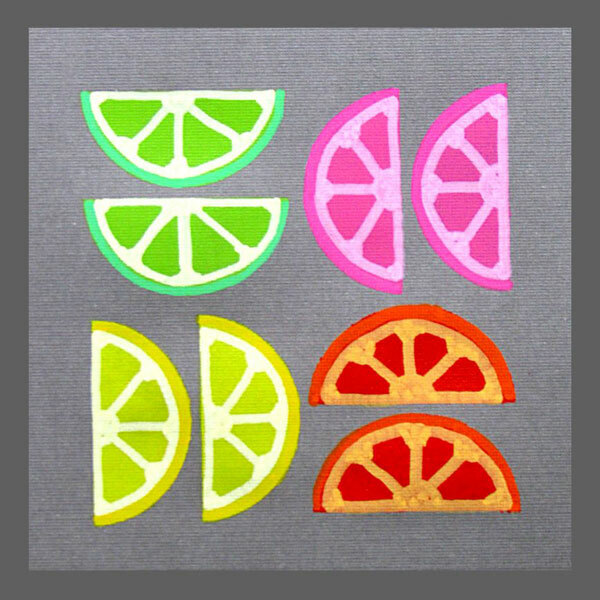 Fruit wedges: Andrew added the solid color first and then added the details later with mark-making tools. 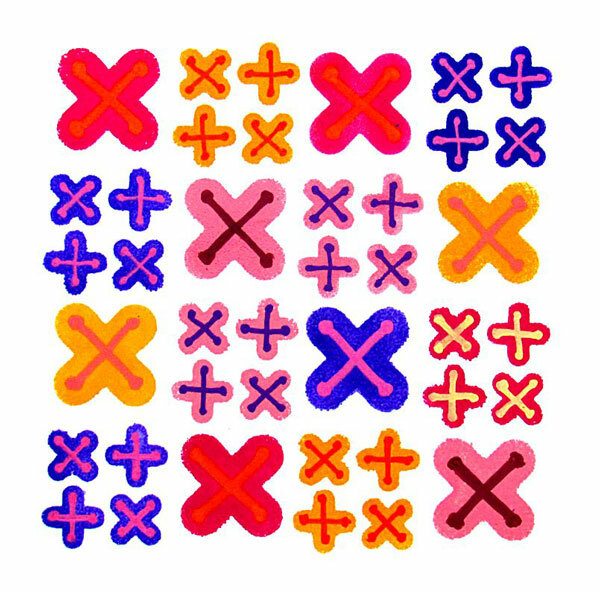 Andrew writes: "Counted cross-stitching was extremely popular in my area during early 1990, and I was fascinated with how the patterns can be created by counting the number of "squares" to make cross-stitches. 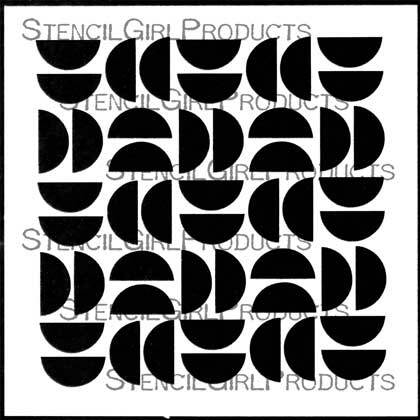 Using a combination of the varying size and orientation has made the stencil design even more interesting and provided new opportunities for creating patterns that may be either vintage or modern." 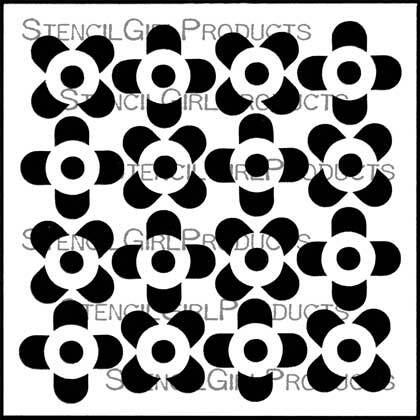 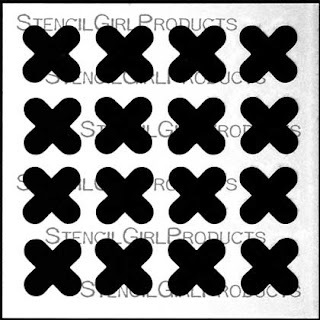 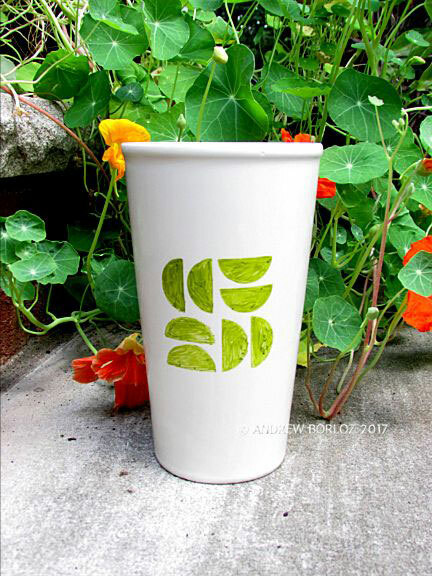 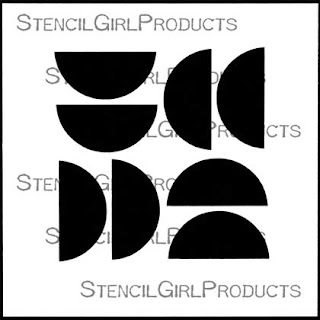 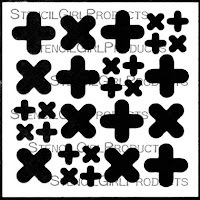 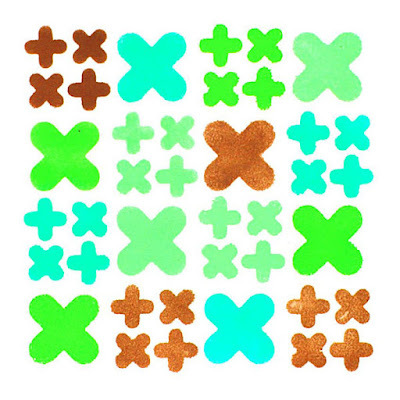 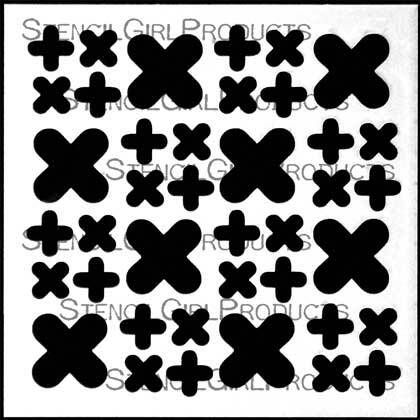 You can find the pattern stencils Andrew released in December right here. 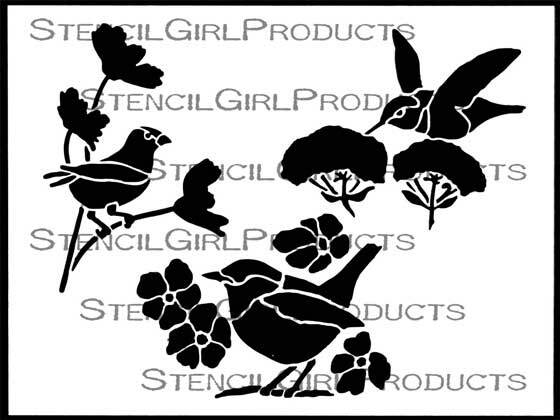 If your hummingbird needs even more fluttering friends, check out Cynthia's Crow Waxwing Chickadee Stencil. 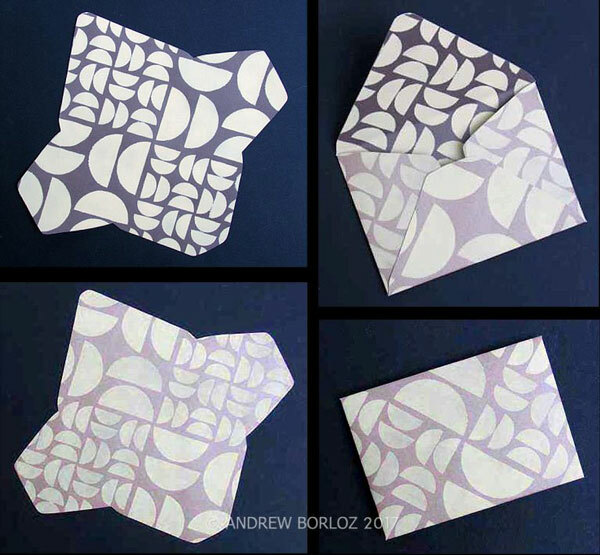 I just love Andrews stencils and art. Wow. 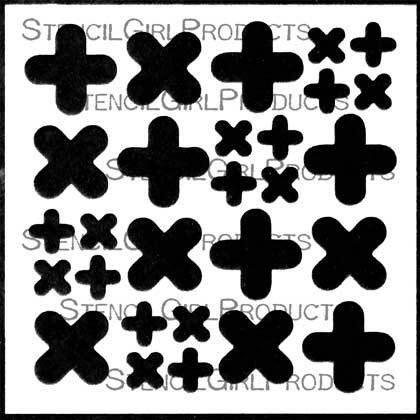 These will be on my next order for sure.